For people that don't use animal products, a vegan egg substitute is practically essential when they want to make any type of baked goods. Fortunately, there are several products they can use without having to compromise on taste, consistency or their beliefs. People who aren't vegan but are watching their fat and cholesterol can also benefit from these solutions. The vegan egg substitute a person should use depends on the recipe he or she is making. This is because eggs can be used for several different purposes. In the lists below, each substitution is the equivalent of one egg. These substitutes can also be used to bind together veggie burgers and vegan meatloaf. 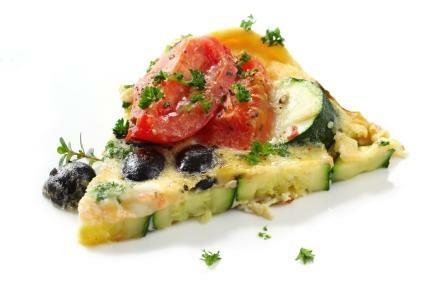 Tofu will work best in recipes that have eggs as the main ingredient, such as quiches. 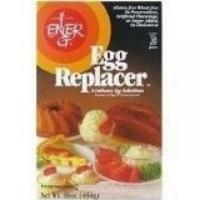 Ener-G egg substitute is also a good choice here. Egg Beaters: These egg substitutes, made by ConAgra Foods, are simply eggs that have some of the fat and cholesterol taken out of them. Some are egg whites and some are the entire egg. None of them are vegan. Better'n Eggs: Again, these substitutes are made from eggs and are just meant to be healthier than the traditional variety since the fat is skimmed out. These are made by Papetti. Organic or cage free eggs: Though it may seem pretty obvious, there are a surprising number of people who think these are vegan. Although the chickens that produce these eggs are raised more humanely than those kept in cages, they are still very much an animal product. It's important to experiment with vegan egg substitutes to see which ones work best with what you're trying to cook. Just because one works perfectly with a particular recipe doesn't mean it won't fall flat with another. When you're first starting to cook vegan style, you may want to stick to recipes that are already vegan instead of altering others. That way you'll know they are tried and true, and it won't be quite so touch and go.